Since Valentine's Day fell on a Tuesday, the Hubs & I decided to celebrate on Saturday morning! I decided to surprise him with breakfast in bed. His favorite breakfast is always scrambled eggs with ham & bacon. I went to HEB to get the ingredients for the special breakfast! Love the Valentine's Day decorations! Found the Petit Jean Bacon! On Saturday morning, I woke up early and started cooking. First the Petit Jean Ham & Bacon. 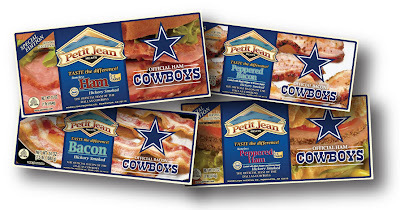 I love that Petit Jean is the official Dallas Cowboys ham & bacon! Once I was all done, I grabbed my plate and his and went upstairs to wake him up. Funny thing, he was already waking up because he smelled delicious Texas meats cooking downstairs! The Hubs Valentine's Day Breakfast! He ended up eating it faster than I could take pictures of & said we definitely have to keep buying the bacon & ham! I thought it was delicious and ended up finishing mine in record time as well! 1) Put cooking oil on both pans before putting the meats on. 2) Put the slices of ham on one pan & bacon on the other. 3) Cook to desired crispiness (Mine cooked on a medium low heat for 7 minutes). 4) Once the meats are cooked, place on a plater over a paper towel. 5) Break 2 eggs over pan. Add salt & pepper. 6) Add a touch of milk to make eggs fluffy & cook on medium low heat for around 6 minutes. 7) Once cooked put on separate plate and add bacon& ham. This shop has been compensated as part of a social shopper insights study for Collective Bias. 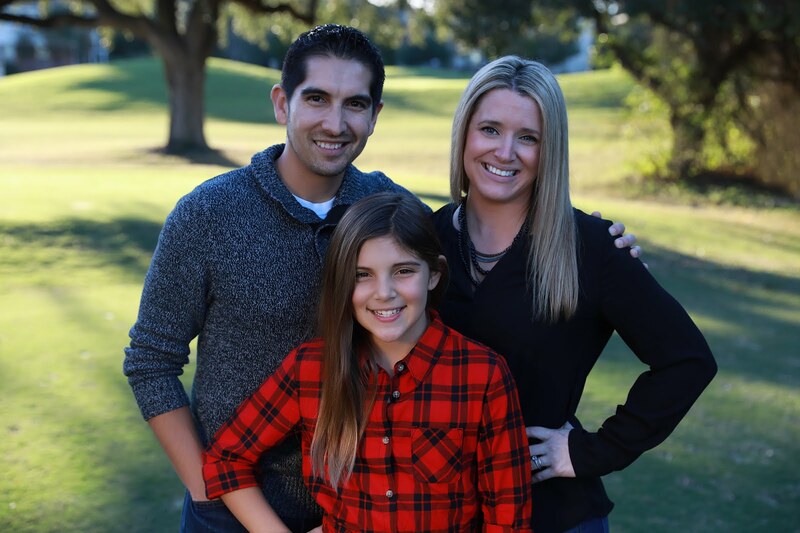 #CBias , but as always, all opinons on this & every post are that of My Munoz Family.